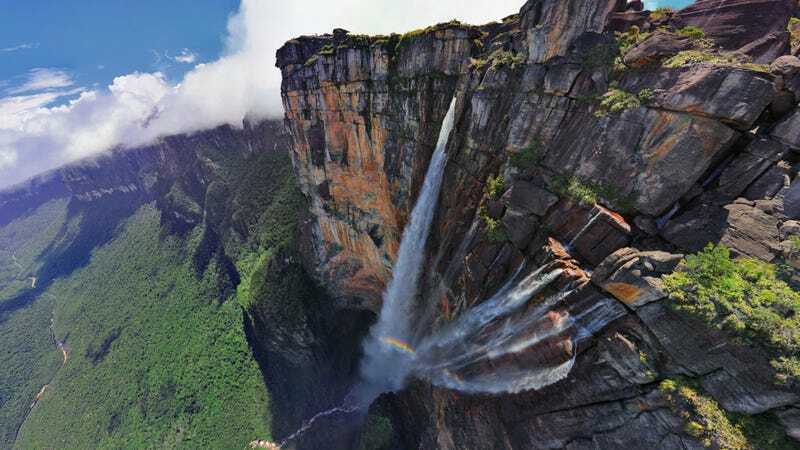 I've always found it amusing that Angel Falls — the highest waterfall on Earth, and, consequently, a lifelong destination for tourists everywhere — is so difficult to visit. It's located in Canaima National Park, which can only be accessed by air. Once you've reached the main Canaima camp, your only shot at seeing the falls up close involves a two-day trip up-river to their base. There, low-lying clouds are notorious for robbing sightseers of a decent view. 1. Click this link to visit AirPano. 2. 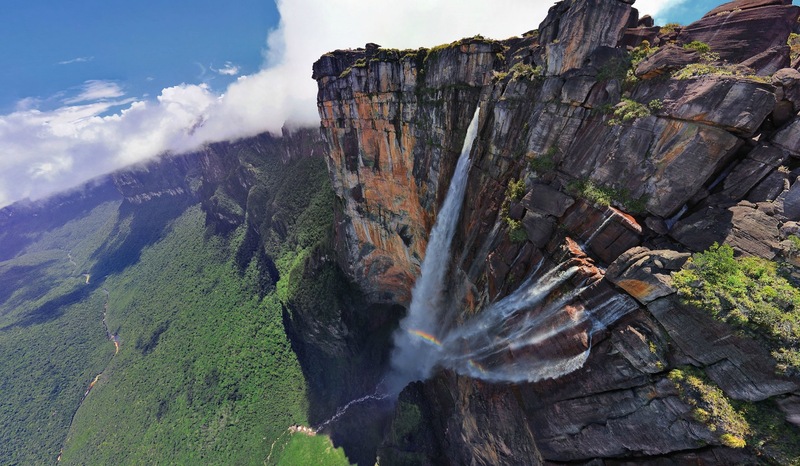 Choose whether you want to experience Angel Falls in hi-res or low-res. 3. Use the on-screen controls to zoom/switch cam locations, then click and drag to explore in any direction you choose. 4. Pretend you're Uma Thurman and that you're being gifted a freshly minted Hattori Hanzō sword while overlooking Angel Falls from a helicopter. Or don't. You can mute the music, or change it to the sound of a waterfall. That's it. If you enjoyed this, you'll definitely want to check out these interactive panoramas of nearby Dragon and Cortina Falls. In fact, pretty much all of AirPano's aerial 3D panoramas look absolutely stunning.